ClubCoins Benodigd: 150 Please note that, for now, you cannot download content from our platform directly onto a mobile device (phone, iPod, iPad, tablets...). You need to download your items onto a PC or Mac, and then transfer them onto your device in the normal way. We are working on allowing direct downloads to mobile devices but this is not possible in the current version of the platform. Sorry about the inconvenience! 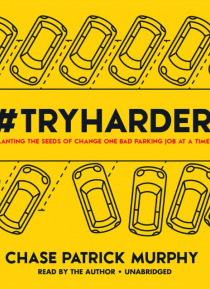 #TryHarder is about taking a moment to stop and do the right thing. To try a little harder in life and to be aware of the people and the world around you. To do right by others and make the additional effort to improve not just your situation but theirs as well.It's also about the author publicly shaming those who can't park.